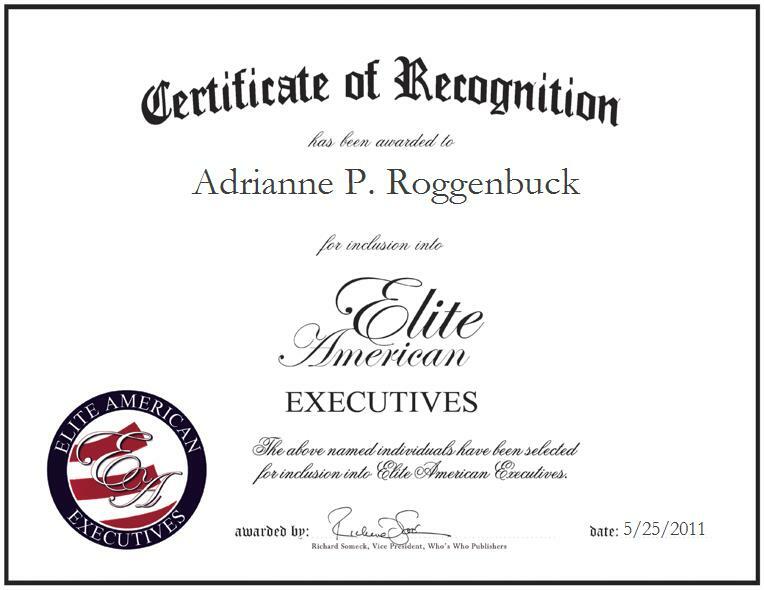 Oshego, IL, May 25, 2011, Adrianne Roggenbuck, Executive Director of Delta Educational Training & Consulting, has been recognized by Elite American Executives for dedication, achievements and leadership in professional development services.Ms. Roggenbuck has successfully established herself as a highly proficient professional trainer and educational consultant through her company, Delta Educational Training & Consulting. For the past four years, she has been sought after by corporations and schools for her development programs that wish to have more efficient teachers and trainers. With a varied client list including The Bob Pike Group, Benetech-Bookshare and the Illinois Principals Association, Ms. Roggenbaum takes the time and care to tailor her programs to her clients’ specific needs. Additionally, she has extensive international training experience through her work in Canada, South Korea and the Netherlands.Before starting her company, Ms. Roggenbuck developed her own educational skills as an elementary school teacher. Holding a Bachelor of Science in elementary education, she taught for 19 years before entering the training arena. She knew that she would have a larger impact on students if she started training teachers. She soon thereafter completed a master’s degree in adult education at National-Louis University and began developing her company.Moving forward, Ms. Roggenbuck plans to further expand her market reach to Japan.